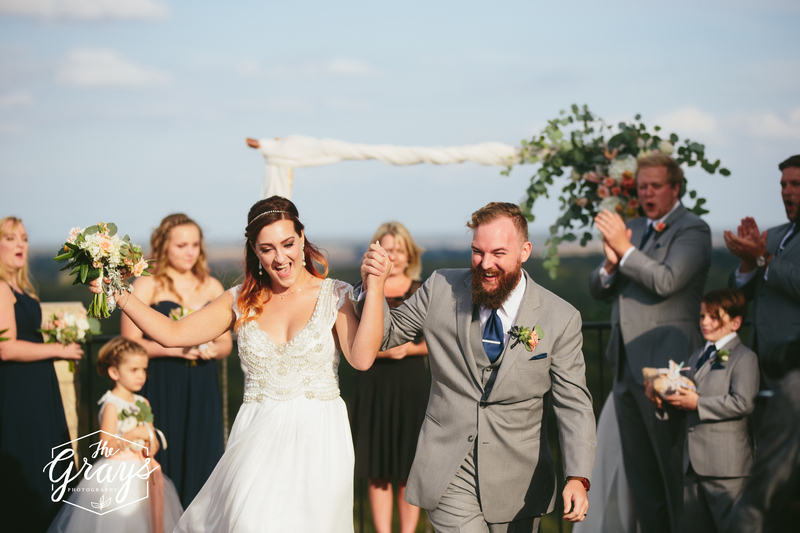 We're thrilled to continue bringing our series Interview with a Pro and next up is the wonderful Buffee Ann Boggs_Gillihan of Magical Moments Weddings and Events LLC. Our goal of this series is to educate our brides not only in gowns, designers and fashion, but also in wedding vendors that can make a great impact in your choice of services. Buffee has been a great resource to us at All My Heart and we hope you enjoy getting to know her! Planning a wedding is truly a journey. Often it’s the first time a Bride & Groom are planning a major (costly) event together and it’s an opportunity to refine communication skills and priorities for each person. Not only that, but the process can have many other players, including family members especially if they are contributing towards wedding expenses. We strive to provide a solid first step into an enjoyable adventure of planning such a celebration. By hiring a qualified, experienced planner couples are able to enjoy their journey with the level of guidance that makes them comfortable and matches their budget. Before booking we ALWAYS recommend a consultation, offered complimentary, because you need to know if we’re a right fit for you and vice versa. When looking for a planner, find someone who matches your style, personality and is someone you could see being by your side on your wedding day (and many months before)! While wedding planning is fun (otherwise why would we do it? ), it can also be hundreds of labor hours. Many times, couples don’t realize how much time it takes to deliver a flawless event. The goal is to complete the majority of the work beforehand, then ensure everything runs smoothly on the day of your wedding. Here are a few Q & A we like to provide for clients unsure if they need a planner. Why should I hire a planner? For starters, we are fun! But for some reason, many people don’t realize the value of event/wedding managers (also known as planners). We possess a vast array of wedding knowledge. No other professional you hire will work as closely with you for the time leading up to and on the day of your wedding. We provide support, a sounding board, friendship and guidance when needed through a high pressure time frame in your lives. I mean, your venue or photographer are very valuable, but they won’t help you decide between linens, give feedback on your guest list or help you budget. And that’s just the beginning! When is the best time to hire a planner? The very beginning is a very good place to start, but we can really be hired at any point. It’s never too late! If we start early, we can help you decide your top priorities and allocate budget accordingly. Too often we meet with couples who are half-way through the process only to realize they have spent more than expected with expenses left to cover. Based on each couples’ preferences, we make recommendations to fit style and budget. Even for a very organized bride, hiring a planner sooner rather than later makes the process smoother and more thorough. Little things can fall through the cracks without the right team in place. You don’t want that. We don’t want that. We want to give you a flawless, fun day where all you do is enjoy each moment. Time goes so fast! Why should I hire a professional instead of using my Aunt Mary as a coordinator? You absolutely could. You could also hire a photography student for photos, use an iPod for music and have your family prepare the meal. Those are all your prerogative. However, we’re professionals. We know how to make your day beautiful and stress-free so you can relax and enjoy the time with your friends and family. In 9 years, all I’ve ever heard is how our clients are so happy they hired us! Peace of mind is worth the investment. YOU are worth the investment! What type of services do you provide? We specialize in complete event design and management. However, we know that some couples don’t need that much help, so we have two other levels of service. We offer full planning and month of management (aka month of coordination). Regardless of which level you choose, we are part of your team from the moment the contract signed. We’re available for questions all along the way. The venue provides a coordinator. What’s the difference between a venue coordinator and a wedding manager? Venue coordinators complete events every weekend, it’s true. They are certainly knowledgeable and helpful. However, their interests are the venue first. When you hire us, our primary responsibility is YOU. We create and implement the plan put in place. Nobody else will be by your side from “getting ready” until after your exit and complete clean up. Our goal at Magical Moments is to tell your unique love story. No other couple has your story. We love the moments when suddenly an idea pops up that perfectly fits you and your fiance. Those moments happen often when working with our clients. Every event is different. No two events are the same and we take pride to make sure there is something unique about your wedding. We take great pride in exceeding expectations. I could not count how often we hear “I wish I had hired you earlier”. There is a relationship there and I’m still in contact with clients from years ago. Now, the question I get most often is is I’ve ever had a Bridezilla. The uninteresting answer is no. I haven’t. How is that possible? Well, I believe there’s two factors: 1. I believe that every client needs a planner, but there’s no guarantee I am the right fit for every couple and that they are not a fit for me. I truly want you to have the perfect wedding team even if that means you hire another person! 2. If you plan well, there’s less stress. Less stress = happy client. One story. I had a Bride approach me just a few weeks after getting engaged. She wanted to get married in 3 months! Well, I knew it would be a ton of work, but it was possible so I took them on. We worked together to build a wonderful team and they were thrilled with every aspect of their day. We even managed to find a videographer the day before when she decided she wanted one. Now, I don’t recommend that, but there’s no way she should have had one without our help! Also, even though the baker had confirmed delivery time, when they were 30 minutes late, they were called. Turns out, somehow they had the time wrong even though it had been confirmed twice. The couple had no idea! The baker was able to arrive and setup before the ceremony started. If it weren’t for us, there would have been no cake. People make mistakes, but because we were there, we were able to solve the problem with no impact to the couple. That’s our job. We take care of any issues without the client ever knowing there was one in the first place. We’re super excited to be a part of two upcoming open houses! We will be at The Historic Rumely Event Space on March 2nd & 3rd, then at the beautiful Beck Event Space on March 4th. Special offers available at these events. Come see us! If you’re looking for help, we have a few dates open for late spring/early summer and only a few dates in the fall/winter. Contact us for availability. We would love to hear all about your day.